Redefining the midsize sedan class, TLX combines five-passenger practicality with thrilling performance to deliver what can be in no way described as ordinary. The 2016 Acura TLX in Arlington is a top choice for shoppers who desire the utility of a sedan and the performance of a sports car, with no sacrifices on either end. If this sounds like you, head to Vandergriff Acura for a test drive and explore our huge selection of inventory. Proving its well-roundedness, The Car Connection's 2016 Acura TLX review notes several positive aspects of the car aside from its surprisingly large, comfortable interior and enjoyable handling. Among their "likes" are the sedan's luxury tech offerings, which truly are abundant. Starting with the base model, TLX offers two touchscreens, smartphone app integration, Bluetooth, a rearview camera, Siri Eyes Free integration and other notable electronics. 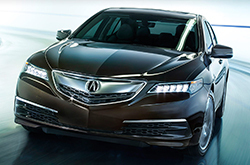 An even higher degree of luxury and refinement can be found when stepping up to the TLX Technology and top-tier TLX Advance models, both of which are overflowing with desirable features. Technology models flaunt systems like forward collision warning, blind-spot monitoring and navigation, while the TLX Advance hits the pinnacle of luxury with additions like adaptive cruise control, parking sensors and auto-dimming side mirrors. Performance is a key aspect of the car as mentioned several times above, so we have to get into details about the lineup's powertrains, too. There's a choice of two very capable engines, including a 206-horsepower four-cylinder and 290-horsepower V6. The 2.4-liter four-cylinder is matched with an eight-speed dual-clutch automated manual gearbox, which The Car Connection calls "super." Front-wheel drive is the sole drivetrain available with this engine. Choose the V6 and you'll get a nine-speed automatic transmission and a choice of front-wheel or all-wheel drive. Not sure which powertrain setup is right for you? 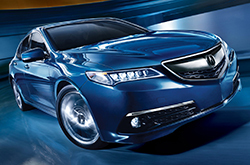 Visit us to test drive the 2016 Acura TLX in Arlington, Texas, and get a feel for each. If you'd like to learn more and to try out our vehicle comparison tool, see the rest of our 2016 Acura TLX review below. The 2016 Lincoln MKS, Mercedes-Benz E-Class and the Volvo S80 are exceeded by the 2016 TLX in many areas. If the TLX's useful incar technologies and tasteful design don't persuade you that it's the ideal vehicle for you, we're sure its competitive price will. It's a phenomenal value. Just compare its price to the opposition and you'll undoubtedly see why so many Arlington drivers love it. The bullet list below this text will give you even more details about its vehicle specs! 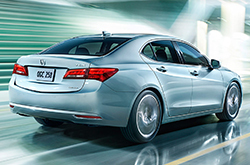 We take the time to post informative reviews of the 2016 TLX and other Acura models because we want to help make your vehicle search less of a hassle. We take our mission to provide the best reviews written by automotive experts - it's just one more thing that makes us a reputable Acura dealership in Arlington. Filled with worthwhile information and specs, including mpg and other info, each article gives you full access to everything Acura's lineup has to offer. 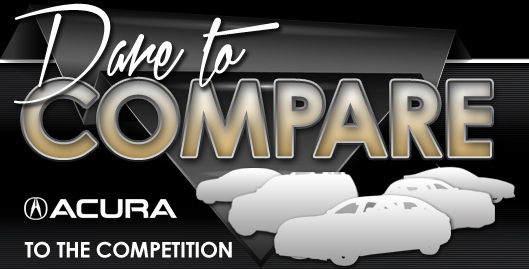 If the TLX isn't suited for you, please review and compare Acuras other great vehicles now.